Product prices and availability are accurate as of 2019-04-21 17:40:17 UTC and are subject to change. Any price and availability information displayed on http://www.amazon.com/ at the time of purchase will apply to the purchase of this product. 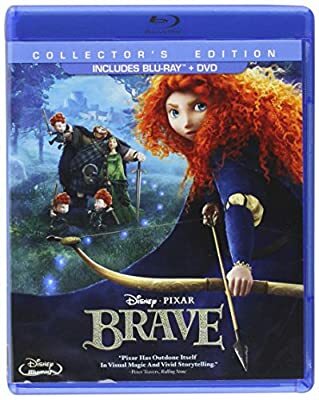 Set in the rugged and mysterious Highlands of Scotland, Disney Pixar's Brave follows the heroic journey of Merida (voice of Kelly Macdonald), a skilled archer and headstrong daughter of King Fergus (voice of Billy Connolly) and Queen Elinor (voice of Emma Thompson). Determined to change her fate, Merida defies an age-old custom sacred to the unruly and uproarious lords of the land: massive Lord MacGuffin (voice of Kevin McKidd), surly Lord Macintosh (voice of Craig Ferguson) and cantankerous Lord Dingwall (voice of Robbie Coltrane), unleashing chaos in the kingdom. 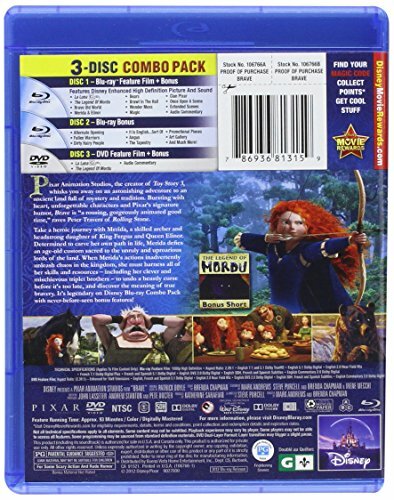 When she turns to an eccentric Witch (voice of Julie Walters), she is granted an ill-fated wish and the ensuing peril forces Merida to harness all of her resources including her mischievous triplet brothers to undo a beastly curse and discover the meaning of true bravery.